We are able to PAY THE MOST for jewelry because we are experts. In our shop you won’t find tools, firearms, musical instruments, or other items that other pawn shops typically deal in. 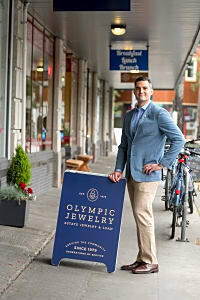 Since 1979, Olympic Jewelry has maintained its reputation as Seattle’s most trusted pawn lender. Our friendly, professional staff is eager to provide you with a level of customer service not found at other lenders. The service we provide is discreet, quick and easy. We buy and loan on fine jewelry, broken/scrap gold, watches, gold and silver coins/bars, sterling silver of all kinds, and fine pens. Very Pleased. The Family are so very nice and personable. Very nice and professional staff. I really liked that it’s a family business and they truly wanted to help. Other pawn shops didn’t seem to know much about jewelry, which made me uncomfortable about doing any transaction with them. Plus Olympic Jewelry gave me the best price by far. Thank you. The staff were very friendly and put me at ease. The store doesn't look like a pawn shop; it looks like a jewelry store, inside and out. I would not be embarrassed to be seen going in here like I would at a "regular" full service pawn shop. They loaned me the money I needed, and were very discreet. Wonderful customer service! I can not thank Michael and Jizel enough for scheduling time with me to assess the authenticity of a watch I personally had questions about. I left their jewelry store educated on the piece and pleased with their advisement. 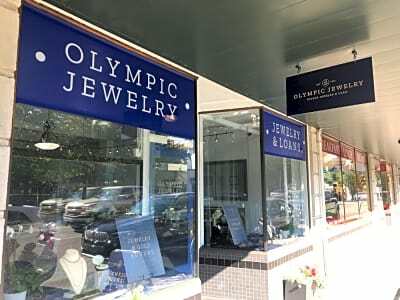 Olympic Jewelers is family owned. They were very comforting in anotherwise uncomfortable situation. I will never go to another jeweler unless it's Olympic Jewelers. It was worth the 1 1/2 hour drive. Their jewelry selection is wonderful. It's not the same jewelry that every other jewelry store has. Thank you Michael for all of your help.